I was watering in my backyard and came across a potted tree that had a lot of dead leaves on it. 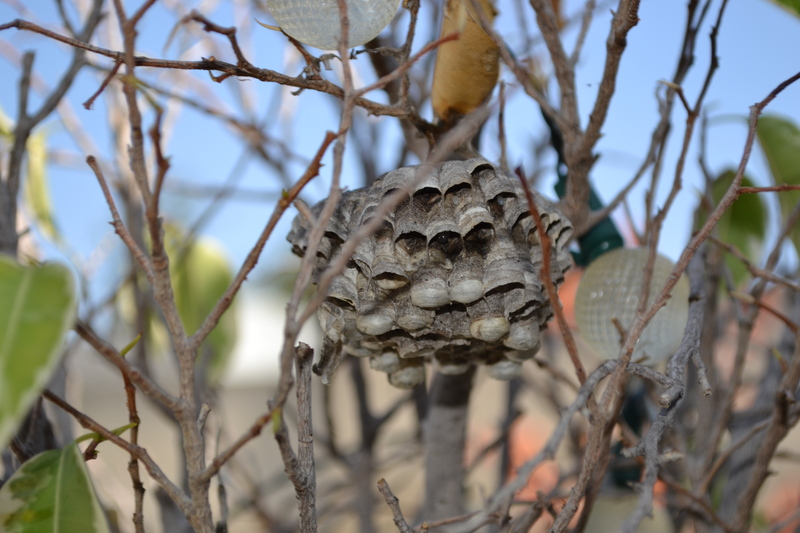 So I turned the hose to the pressure spray setting and blasted the leaves off that tree, only to be terrified at what was under all those leaves… a giant wasps nest! I immediately ran back inside and made some calls to family hoping I could maybe guilt one of them into coming to take care of it for me… no luck. I bought some of that wasps spray that claims it sprays over 27 feet to kill the nest and waited until dark when the wasps were less active. I gave that can a good shake, and in a moment of a complete adrenaline rush, sprayed that nest into oblivion. I was simultaneously scared out of my mind/ had the strength of a mom lifting a car off of her own child. I almost feel like I blacked out and then woke back up again when my can was pretty much empty. 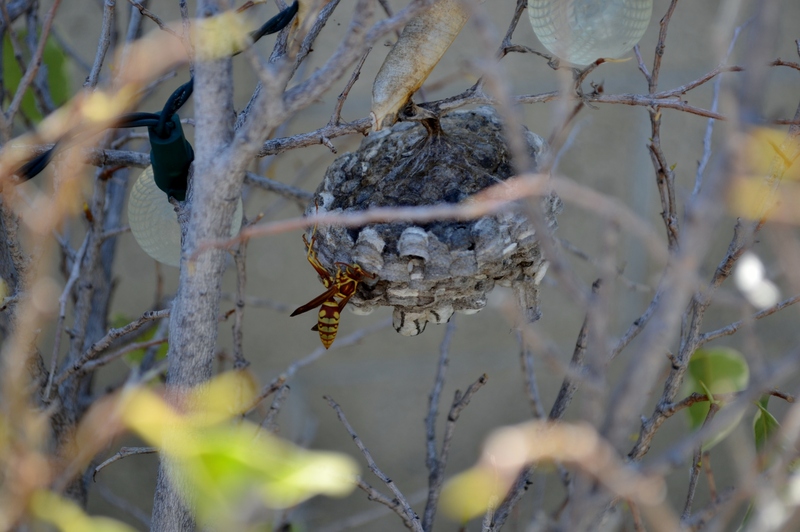 I was probably being a bit dramatic because not a single wasp flew out of the nest while I was doing it. They all died instantly, including that one you see in the picture. I often think about what makes me feel like I am an adult. Is it living on my own, being married, being out of college? 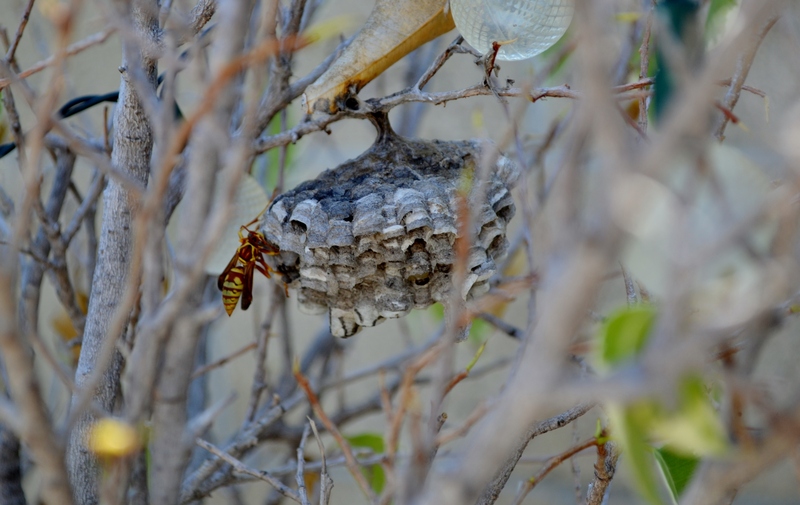 At what pivotal moment do you change from being a girl to being a women… It’s when you kill a wasps nest all by yourself. Welcome to adulthood.